Russian intercontinental ballistic missile. The R-7A was an improved version of the R-7 first ICBM, and the one actually deployed to pads in Baikonur and Plesetsk. The missile saw service from 1960 to 1968. Four pads at Plesetsk, and one reserve pad at Baikonur, were operational at the peak of deployment in 1962. These were the Soviet Union's only strategic missile deterrent during the Cuban Missile Crisis. AKA: 46A;8K74;A;RDS-37;Sapwood;Semyorka;SS-6 Mod 2. Status: Retired 1967. First Launch: 1959-12-23. Last Launch: 1967-07-25. Number: 28 . Payload: 5,400 kg (11,900 lb). Thrust: 3,996.85 kN (898,528 lbf). Gross mass: 272,900 kg (601,600 lb). Height: 28.00 m (91.00 ft). Diameter: 2.99 m (9.80 ft). Span: 9.76 m (32.02 ft). Apogee: 1,000 km (600 mi). Development of the R-7A was authorized in a government resolution of 2 July 1958. The original R-7, with a range of 8,000 km, could not reach major strategic centers in the United States from Tyuratam. A 12,000 to 14,000 km range was necessary for this. Another alternative was basing from the more northerly Plesetsk launch site. Flight of trials of a related prototype, the R-7 Lot III with provisions for a nuclear warhead, began on 24 December 1958. Tests of this series concluded on 27 November 1959 and test of the first R-7A came on 24 December 1959. Despite this failed launch, Cold War pressures meant that the R-7A conditionally entered service on 31 December 1959. Of the series of eight prototype launches, only four reached the impact zone in Kamchatka, a range of 9,500 km being demonstrated. The R-7A was fully accepted for service by the military on 12 September 1960. A further updated 12,000 km range R-7A with a lighter warhead was flight tested in the early 1960's, but never put into service. This was identified by the Americans as the 'SS-6 Mod. 3'. Production of the R-7A was done at Aviation Factory Number 1, 'Progress', in Kuibyshev (Samara). Construction of the launch facilities was in advance of the missile testing. Delivery of equipment for four operational launch pads at Plesetsk began in early 1959. The first launch complex (LC41, code name 'Lesobaza') was essentially complete and accepted by the military in November 1959. During 1960 LC16 became the second R-7A ICBM launch complex to become operational. All four R-7A launch complexes at Plesetsk, with LC31 at Tyuratam as an emergency alternate launch pad, were accepted by the military in July 1961. The Plesetsk pads were manned by a Strategic Rocket Forces regiment, consisting of one launch station group and four launch units. A major test of the regiment came on 16 July 1960, when the regiment conducted an exercise with launch of two R-7A's, demonstrating the radio guidance system, within 8 hours of each other. The missiles on the four pads were programmed to hit New York, Washington, Los Angeles, and Chicago. During the Cuban missile crisis (11 September to 21 November 1962), an R-7A with a live thermonuclear weapon was held in readiness on pad LC41 for launch on the United States with an 8 to 12 hour reaction time from the go order. This was the only time an R-7A was actually armed with a nuclear warhead during its service life (early Soviet doctrine was that the warheads be stored and controlled separately). The R-7A, with its slow reaction time and vulnerability to enemy counter-strikes, was withdrawn as more modern ICBM's were deployed in the 1960's. LC 41 was withdrawn from ICBM service in 1963 and converted to a space launch pad for R-7-derived launch vehicles. LC16 and the two pads at LC43 continued in service until the R-7A was withdrawn from military service in 1968. LC 16 was cannibalized to rebuild the LC1 at Baikonur, and LC43 was converted to use as a space launch facility. Each operational R-7A launch site cost 500 million rubles. This included the expense of the down-range radar and the radio control stations, each of which had to be located in taiga or bog and required the building of new roads and power lines. The R-7A generated its cut-off signal internally using a battery-like electronic integrator. This required constant removal, recharge, and recalibration. A third launch base for the R-7A was planned for Krasnoyarsk but never built. Flyaway Unit Cost 1985$: 33.000 million. Maximum range: 9,500 km (5,900 mi). Number Standard Warheads: 1. Standard RV: RDS-37. Standard warhead: 46A. Warhead yield: 3,000 KT. Initial Operational Capability: 1961. Stage 0. 4 x R-7A 8K74-0. Gross Mass: 42,800 kg (94,300 lb). Empty Mass: 3,200 kg (7,000 lb). Thrust (vac): 995.300 kN (223,752 lbf). Isp: 313 sec. Burn time: 120 sec. Isp(sl): 256 sec. Diameter: 2.68 m (8.79 ft). Span: 2.68 m (8.79 ft). Length: 19.00 m (62.00 ft). Propellants: Lox/Kerosene. No Engines: 1. Engine: RD-107-8D74K. Status: Out of Production. Stage 1. 1 x R-7A 8K74-1. Gross Mass: 101,700 kg (224,200 lb). Empty Mass: 7,300 kg (16,000 lb). Thrust (vac): 940.400 kN (211,410 lbf). Isp: 315 sec. Burn time: 325 sec. Isp(sl): 248 sec. Diameter: 2.99 m (9.80 ft). Span: 2.99 m (9.80 ft). Length: 28.00 m (91.00 ft). Propellants: Lox/Kerosene. No Engines: 1. Engine: RD-108-8D75K. Status: Out of Production. Family: ICBM. Country: Russia. Engines: RD-107-8D74K, RD-108-8D75K. Launch Sites: Baikonur, Baikonur LC1, Plesetsk, Baikonur LC31, Plesetsk LC41/1, Plesetsk LC43/4, Plesetsk LC43/3. Stages: R-7A 8K74-0, R-7A 8K74-1. Agency: Korolev bureau. 1957 January 11 - . LV Family: R-7. Launch Vehicle: R-7A. First Soviet ICBM base at Plesetsk is authorised. - . Nation: Russia. Decree 61-39ss 'On creation of launch complex Angara at NIIP-53' was issued..
1957 July 2 - . LV Family: R-7. Launch Vehicle: R-7A. Tikhonravov defined the development tasks for the Zenit reconnaissance satellite. - . Nation: Russia. Spacecraft Bus: Vostok. Spacecraft: Zenit satellite. These included development of a three stage version of R-7, development of satellite guidance and control systems of the precision required for photography from orbit, satellite control equipment, ELINT sensors, guidance systems, film cassette return systems, and tracking systems for recovery of the re-entry vehicle with the film cassette. 1959 March 14 - . LV Family: R-7. Launch Vehicle: R-7A. R-7A flight test plan approved. - . Nation: Russia. Central Committee of the Communist Party and Council of Soviet Ministers Decree 'On Work on the R-7 Product and Flight-Design Testing of the R-7A Product-- testing of the R-7 and R-7A ICBMs' was issued..
1959 April 1 - . LV Family: R-7. Launch Vehicle: R-7A. R-7A ICBM production approved. - . Nation: Russia. Central Committee of the Communist Party and Council of Soviet Ministers Decree 'On production of the R-7A missile at Plant No. 1001 at Krasnoyarsk-26 and establishment of a branch' was issued..
1959 July 15 - . LV Family: R-7. Launch Vehicle: R-7A. Samara Filial 1 takes over design responsibility for R-7 and its derivatives. - . Nation: Russia. Decree 'On formation of the Design Department of OKB-1 at the Progress Plant in Kuibyshev' was issued..
1959 December - . LV Family: R-7. Launch Vehicle: R-7A. Flight test series of production R-7A ICBM begins - . Nation: Russia. These tests proved the design of the missile actually deployed to pads in Baikonur and Plesetsk..
1959 December 23 - . 19:05 GMT - . Launch Site: Baikonur. Launch Complex: Baikonur LC1. LV Family: R-7. Launch Vehicle: R-7A. R-7A I-1 test - . Nation: Russia. Agency: RVSN. Apogee: 1,350 km (830 mi). Failure in first test of R-7A ICBM. Despite this failed launch, Cold War pressures meant that the R-7A conditionally entered service on 31 December 1959..
1960 January 20 - . 16:35 GMT - . Launch Site: Baikonur. Launch Complex: Baikonur LC1. LV Family: R-7. Launch Vehicle: R-7A. R-7A I-2/Dummy L test - . Nation: Russia. Agency: RVSN. Apogee: 1,000 km (600 mi). Suborbital aerodynamic test flight with R-7A 8K74 lower stages, dummy upper stages..
1960 January 24 - . 16:15 GMT - . Launch Site: Baikonur. Launch Complex: Baikonur LC1. LV Family: R-7. Launch Vehicle: R-7A. FAILURE: Failure. R-7A I-3 test - . Nation: Russia. Agency: RVSN. Apogee: 20 km (12 mi). 1960 January 31 - . 16:17 GMT - . Launch Site: Baikonur. Launch Complex: Baikonur LC1. LV Family: R-7. Launch Vehicle: R-7A. R-7A I-4/Dummy L test - . Nation: Russia. Agency: RVSN. Apogee: 1,000 km (600 mi). Suborbital aerodynamic test flight with R-7A 8K74 lower stages, dummy upper stages..
1960 March 17 - . 23:55 GMT - . Launch Site: Baikonur. Launch Complex: Baikonur LC1. LV Family: R-7. Launch Vehicle: R-7A. R-7A I-4 test - . Nation: Russia. Agency: RVSN. Apogee: 1,350 km (830 mi). 1960 March 24 - . 02:06 GMT - . Launch Site: Baikonur. Launch Complex: Baikonur LC1. LV Family: R-7. Launch Vehicle: R-7A. R-7A I-5 test - . Nation: Russia. Agency: RVSN. Apogee: 1,350 km (830 mi). 1960 July - . LV Family: R-7. Launch Vehicle: R-7A. Flight test series of production R-7A ICBM completed - . Nation: Russia. 15 launches were in the flight test series, with 14 successes. 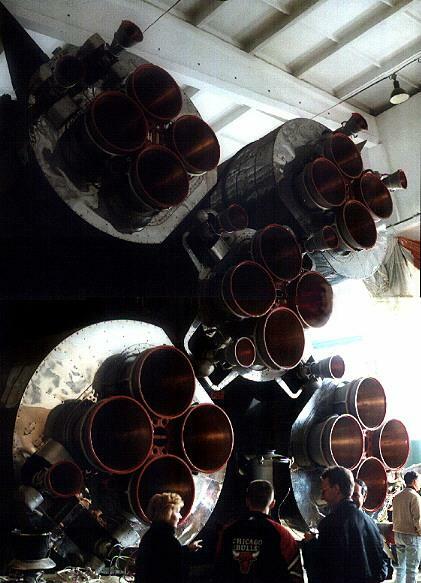 These rockets were completed at Aviation Factory Number 1, 'Progress', in Kuibyshev (Samara)..
1960 July 5 - . 15:56 GMT - . Launch Site: Baikonur. Launch Complex: Baikonur LC1. LV Family: R-7. Launch Vehicle: R-7A. R-7A I-6 test - . Nation: Russia. Agency: RVSN. Apogee: 1,350 km (830 mi). 1960 July 7 - . 15:27 GMT - . Launch Site: Baikonur. Launch Complex: Baikonur LC1. LV Family: R-7. Launch Vehicle: R-7A. R-7A I-7 test - . Nation: Russia. Agency: RVSN. Apogee: 1,350 km (830 mi). 1960 September 12 - . LV Family: R-7. Launch Vehicle: R-7A. R-7A accepted for military service. - . Nation: Russia. Decree 'On adoption of the R-7A into armaments' was issued..
1961 January 14 - . 01:19 GMT - . Launch Site: Baikonur. Launch Complex: Baikonur LC31. LV Family: R-7. Launch Vehicle: R-7A. R-7A II-1 operational test launch - . Nation: Russia. Agency: RVSN. Apogee: 1,350 km (830 mi). Some sources say first launch from LC31 was not until 27 February..
1961 February 13 - . 04:39 GMT - . Launch Site: Baikonur. Launch Complex: Baikonur LC31. LV Family: R-7. Launch Vehicle: R-7A. R-7A II-2 operational test launch - . Nation: Russia. Agency: RVSN. Apogee: 1,350 km (830 mi). Some sources say first launch from LC31 was not until 27 February..
1961 February 27 - . 00:52 GMT - . Launch Site: Baikonur. Launch Complex: Baikonur LC31. LV Family: R-7. Launch Vehicle: R-7A. Operational missile test - . Nation: Russia. Agency: RVSN. Apogee: 1,350 km (830 mi). 1961 April 14 - . Launch Site: Baikonur. Launch Complex: Baikonur LC31. LV Family: R-7. Launch Vehicle: R-7A. FAILURE: Failure..
R-7A II-3 test - . Nation: Russia. Agency: RVSN. Apogee: 0 km (0 mi). Failure occurred only two days after Yuri Gagarin's flight..
1961 June 15 - . 05:45 GMT - . Launch Site: Baikonur. Launch Complex: Baikonur LC31. LV Family: R-7. Launch Vehicle: R-7A. R-7A II-4 test - . Nation: Russia. Agency: RVSN. Apogee: 1,350 km (830 mi). 1961 July 4 - . 04:00 GMT - . Launch Site: Baikonur. Launch Complex: Baikonur LC31. LV Family: R-7. Launch Vehicle: R-7A. R-7A II-5 test - . Nation: Russia. Agency: RVSN. Apogee: 1,350 km (830 mi). 1961 July 4 - . 20:20 GMT - . Launch Site: Baikonur. Launch Complex: Baikonur LC31. LV Family: R-7. Launch Vehicle: R-7A. R-7A II-6 test - . Nation: Russia. Agency: RVSN. Apogee: 1,350 km (830 mi). Two launches from one launch complex in the same day..
1961 September 21 - . Launch Site: Baikonur. Launch Complex: Baikonur LC31. Launch Pad: LC31?. LV Family: R-7. Launch Vehicle: R-7A. R-7A II-7 test - . Nation: Russia. Agency: RVSN. Apogee: 1,350 km (830 mi). R-7A readiness verification test..
1961 November 29 - . Launch Site: Baikonur. Launch Complex: Baikonur LC31. Launch Pad: LC31?. LV Family: R-7. Launch Vehicle: R-7A. Operational test - . Nation: Russia. Agency: RVSN. Apogee: 1,350 km (830 mi). 1962 July 2 - . Launch Site: Baikonur. Launch Complex: Baikonur LC31. Launch Pad: LC1. LV Family: R-7. Launch Vehicle: R-7A. 1963 April 22 - . Launch Site: Baikonur. Launch Complex: Baikonur LC31. Launch Pad: LC31?. LV Family: R-7. Launch Vehicle: R-7A. Combat training launch - . Nation: Russia. Agency: RVSN. Apogee: 1,350 km (830 mi). 1963 May 18 - . Launch Site: Baikonur. Launch Complex: Baikonur LC31. Launch Pad: LC31?. LV Family: R-7. Launch Vehicle: R-7A. 1963 October 14 - . Launch Site: Baikonur. Launch Complex: Baikonur LC31. Launch Pad: LC31?. LV Family: R-7. Launch Vehicle: R-7A. 1964 June 3 - . Launch Site: Baikonur. Launch Complex: Baikonur LC31. Launch Pad: LC31?. LV Family: R-7. Launch Vehicle: R-7A. Test? - . Nation: Russia. Agency: RVSN. Apogee: 1,350 km (830 mi). 1964 July 27 - . Launch Site: Baikonur. Launch Complex: Baikonur LC31. Launch Pad: LC31?. LV Family: R-7. Launch Vehicle: R-7A. 1965 December 14 - . Launch Site: Plesetsk. Launch Complex: Plesetsk LC41/1. LV Family: R-7. Launch Vehicle: R-7A. Test mission - . Nation: Russia. Agency: RVSN. Apogee: 1,350 km (830 mi). 1965 December 21 - . Launch Site: Plesetsk. Launch Complex: Plesetsk LC43/3. LV Family: R-7. Launch Vehicle: R-7A. 1966 May 27 - . Launch Site: Baikonur. Launch Complex: Baikonur LC1. LV Family: R-7. Launch Vehicle: R-7A. Nation: Kazakhstan. Agency: RVSN. Apogee: 1,350 km (830 mi). 1966 June 25 - . Launch Site: Baikonur. Launch Complex: Baikonur LC1. LV Family: R-7. Launch Vehicle: R-7A. 1967 July 25 - . Launch Site: Plesetsk. Launch Complex: Plesetsk LC43/4. LV Family: R-7. Launch Vehicle: R-7A.